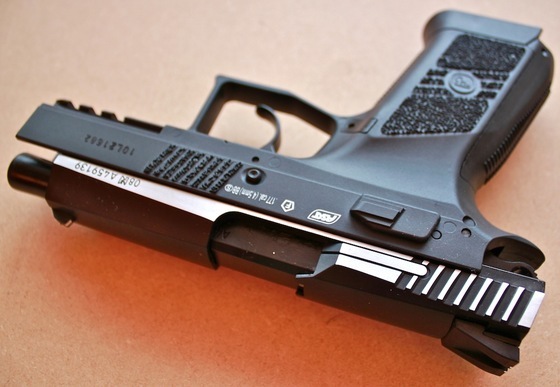 Here is my Field Test Shooting Video Review for the ASG CZ 75 P-07 Duty CO2 Airsoft Pistol. Make sure to checkout my previous Table Top Review for more detailed info about the ASG CZ 75 P-07 Duty Airsoft version. My 5 shot Chronograph test resulted in a much lower than expected average velocity of around 265 fps, the ASG CZ 75 P-07 Duty CO2 Airsoft Pistol did start off in the mid350 range but then suddenly drop into the mid 200 fps range and according to ASG's rating, we should of been getting closer to 400 fps so something may have been up with this gun? My 10 shot accuracy test from 30 feet out using a semi rested position came in at around 4 inches. I am happy to say that my shots did seem to get to the target a bit faster than I was expecting with such a low fps chronograph testing. In terms of shot placement the ASG CZ 75 P-07 Duty CO2 Airsoft Pistol shot a bit high and to the left so you may have to adjust your aim point since there is no hop-up or windage adjustments on this pistol. I was expecting a lot more power from the ASG CZ 75 P-07 Duty CO2 Airsoft Pistol since the 4.5mm Steel BB version of this same gun even with blowback operation still got an average of closer to 350 fps? I do like the lighter single action trigger the blowback version offers but the double action trigger of the non-blowback version is pretty good, not too heavy and fairly smooth. You can also expect to get at least 100 shots or more from a single 12 gram CO2 which makes this an relatively inexpensive gun overall. First off I have reviewed all of these ASG guns in the BB version which I will link to below so you can read the full reviews. The main difference with this review is that I am reviewing the 6mm Airsoft versions and in the case of the ASG Bersa BP9CC and ASG CZ 75D Compact, the only difference is the ammo they shoot, with the ASG CZ 75 P-07 Duty, my Airsoft version is not blowback whereas the 4.5mm Steel BB version I reviewed earlier did have blowback operation. My YouTube video for these ASG Airsoft versions does go into a lot of detail on each gun but in this written review I will keep to the basics since you can get most of the detailed information already in my 4.5mm Steel BB reviews for each gun. All use 12 gram CO2 cartridges. Bersa BP9CC has blowback action. 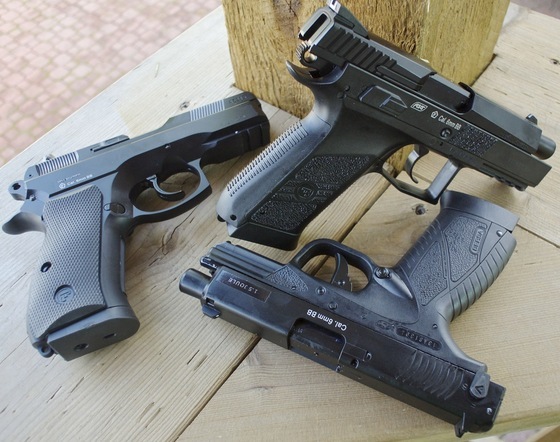 CZ 75 P-07 Duty & CZ 75D Compact are single and double action. 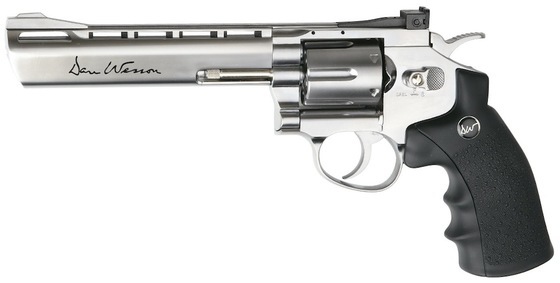 Bersa BP9CC is single action only. FPS: (Bersa BP9CC 400 fps - CZ 75D Compact 425+ fps - CZ 75 P-07 Duty 480 fps). 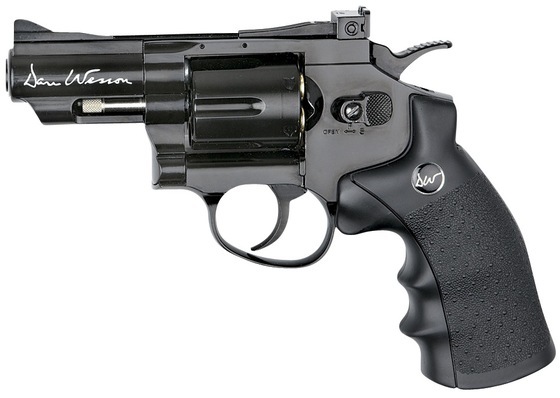 Bersa BP9CC has a stick magazine with 15 round capacity. 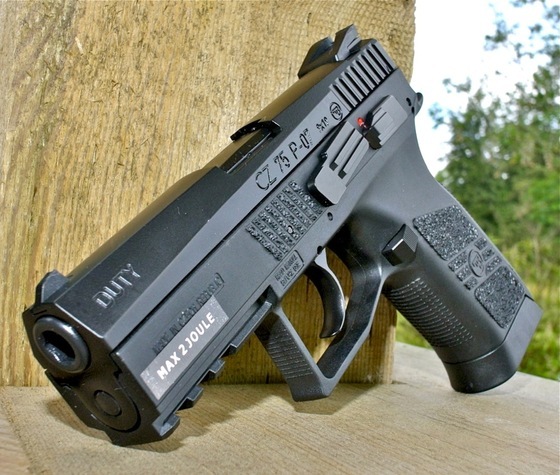 CZ 75 P-07 Duty has a stick magazine with 16 round capacity. CZ 75D Compact has a full size metal drop out magazine with 15 round capacity. 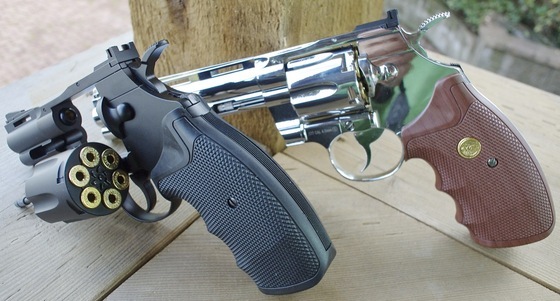 All replicas of their modeled after firearms. All are distributed by ASG (Action Sport Games) and made in Taiwan. Bersa BP9CC love the design and how compact it is. Bersa BP9CC has good weight for its small size, metal slide, trigger, stick magazine, barrel, slide catch release. 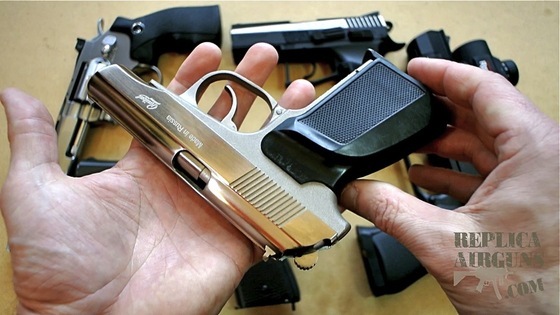 Bersa BP9CC is the only one with blowback action. CZ 75D Compact has a full size drop out metal magazine that holds CO2 and BB’s. 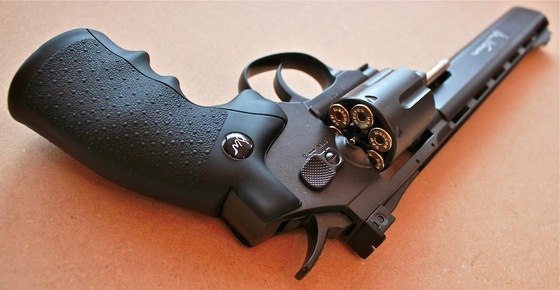 CZ 75D Compact has nice comfortable rubberized grips. CZ 75D Compact is the only one with adjustable hop-up and adjustable rear sight. CZ 75 P-07 Duty has the highest fps at 480 claimed. 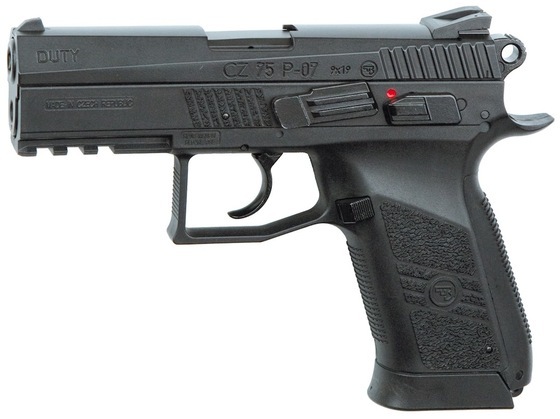 CZ 75 P-07 Duty lots of metal parts: Slide, barrel, magazine, hammer, trigger, slide catch, safety, magazine release. CZ 75 P-07 Duty has a really nice double action trigger. 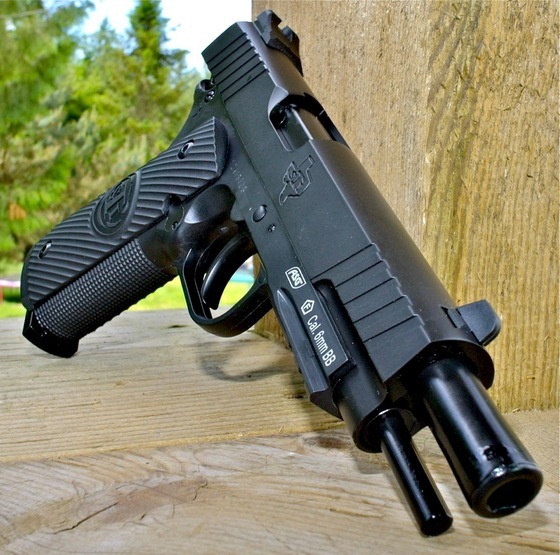 Bersa BP9CC slide only goes back part way, not a full cycle blowback operation. 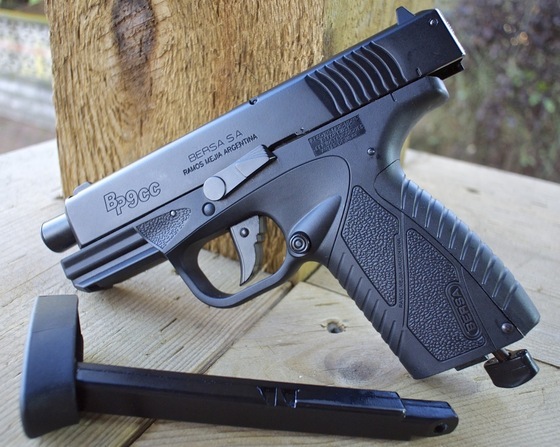 Bersa BP9CC does not have adjustable hop-up or adjustable sights. 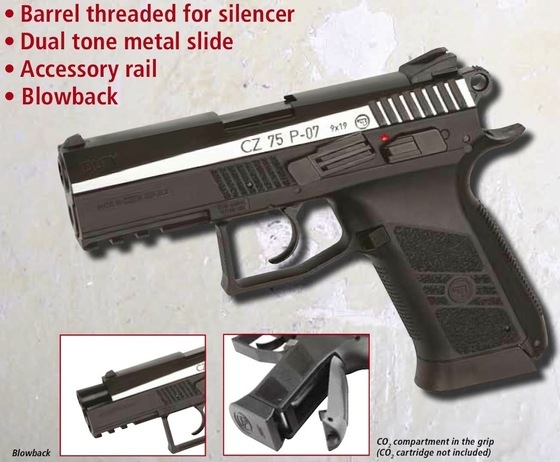 CZ 75D Compact has a plastic slide. CZ 75D Compact is a bit light weight especially with the magazine out. CZ 75 P-07 Duty does not have blowback operation. 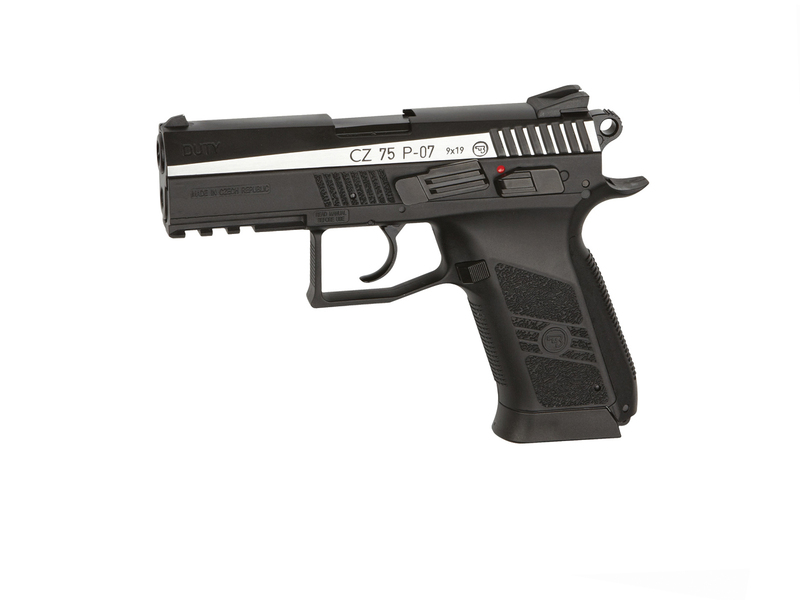 CZ 75 P-07 Duty does not have adjustable hop-up or adjustable sights. Make sure to watch my more detailed YouTube Video Review for these ASG Airsoft Pistols as I cover much more info than this written article. Some more CO2 pistols I will be doing Table Top and Field Test video reviews for in the near future. Some of them I have already reviewed in different caliber versions, either 4.5mm Steel BB or 6mm Plastic Airsoft. I also showcase three CO2 6mm Airsoft semi auto pistols from ASG that I have already reviewed in their 4.5mm Steel BB equivalents. 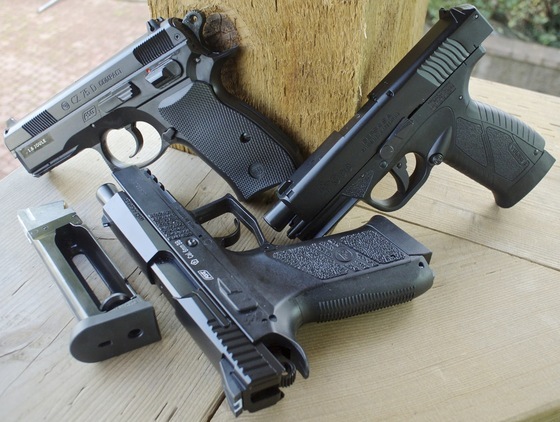 The ASG CZ 75 P-07 Duty Non-blowback, the ASG CZ 75 D Compact Non-blowback and the ASG Bersa BP9CC Blowback. 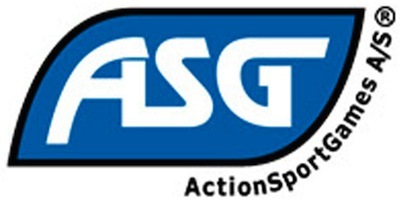 ASG Products Back in Stock Again! We have been taking preorders on many of our ASG Airguns and Airsoft guns for our Canada Replica Airguns Store, we where expecting them to be back in stock right around the end of the month. The good news is we got them a bit early so we are now filling back orders and most of our ASG inventory is now showing as in stock and ready to ship! I just received some of my ASG Airsoft guns in my BC location and wanted to make an update video for you so you can see them up close and perhaps see how they stack up against their Airgun counterparts. Keep in mind many of my ASG guns are only available in the Canada Replica Airguns Store, we do have some ASG Airsoft guns for my US based customers but this time here in Canada I have more to offer my Canadian folks! 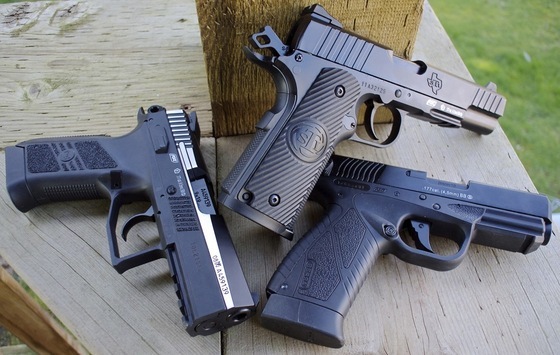 The Dan Wesson's, the Steyr M9-A1, STI Duty One 1911, CZ 75 P-07 Duty are all pretty much identical to my 4.5mm Steel BB shooting versions with the exception of not having blowback but the good news is the slides do in fact move on the semi autos! 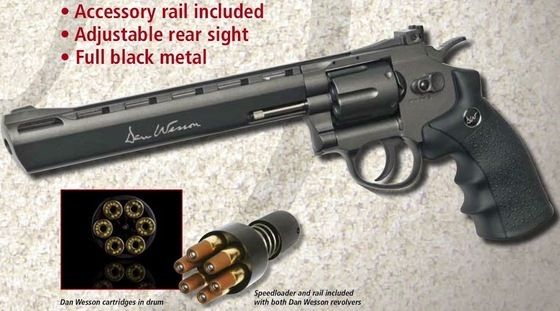 Of course the Dan Wesson is just made to accept 6mm Airsoft BB's rather than 4.5mm steel BB's. I am also super impressed with the high quality of the LMT Defender M4 Carbines, they are a serious bit of gear and have some very good heft to them, even more so than my full metal King Arms M4A1 I already sell and have done a full review of, not to take anything away from the Kings Arms product as it is very good at its price point. I also received my first sniper rifle and have played around with it a bit to see what it is capable of. I added a bipod to the front and a 3x9 power scope as the ASG AW .308 comes pretty bare bones but ready for all you can throw at it. I can say it likes heavier Airsoft BB's, as the .20 gram ones I started with seemed to fly off in all directions due to the high velocity, even stepping up to a .25 gram BB tightened my group up significantly at 30 feet. I have heard this rifle really prefers heavy Airsoft BB's so I plan do do my review based on that information. Enjoy my YouTube Video Update focusing on the new ASG Airsoft lineup. As promised, the new ASG Airsoft Pistols have been added to the Replica Airguns Store and by the way none of them have the orange tip as they are all classified as Uncontrolled Firearms just like a standard Airgun! 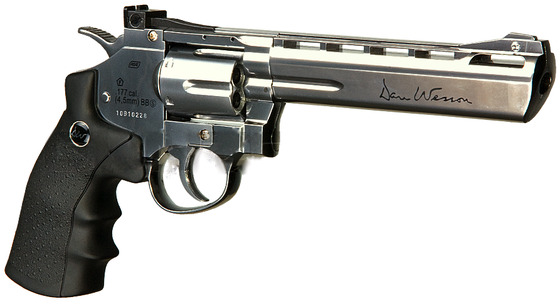 The legendary revolvers licensed by Dan Wesson These revolvers have authentic markings and an individual serial number stamped into the frame. 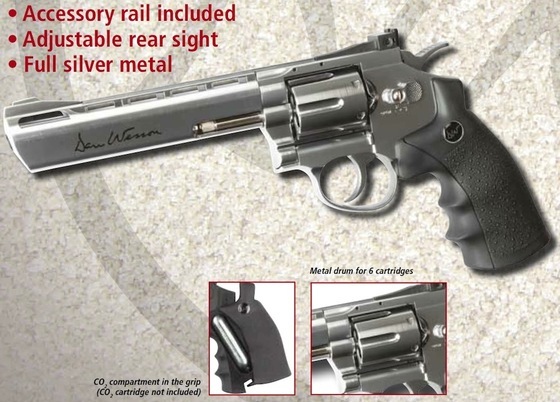 The revolvers features a single and double action trigger system and adjustable rear sight for extra realism and accuracy. 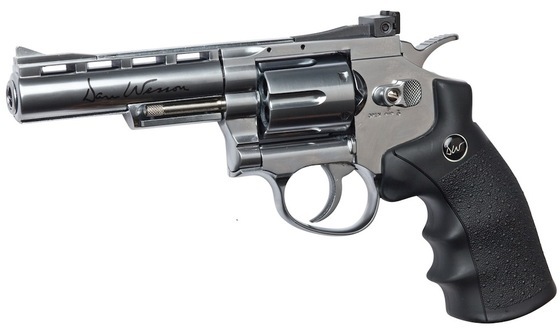 The Dan Wesson BB revolvers are made of metal except for the ergonomical grip constructed in hard ABS plastic. The 12g CO2 cartridge is stored under the grip and is easily accessed by sliding the grip to the side – easy-load style. Each of the 6 cartridges holds one Airsoft BB and is placed in the metal drum that rotates as each round is fired. 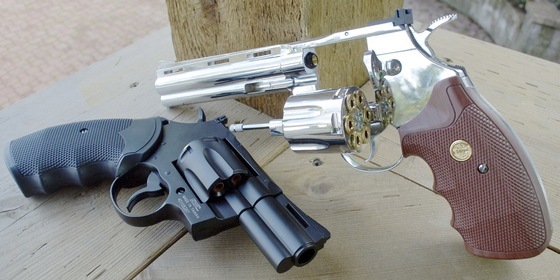 The revolvers comes with a speed loader, changeable tactical rail and 6 cartridges. 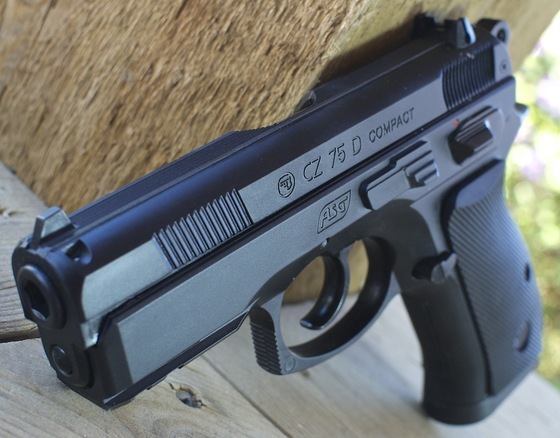 The CZ 75 P-07 DUTY is the new generation of the CZ 75 family which was first designed back in 1975 by the famous small arms manufacturer Česká zbrojovka, Czech Republic. This is the semi automatic 4.5mm airgun version fully licensed by CZ. It is powered by a 12g CO2 cartridge stored in the grip using the easy-load system and the Airsoft BB’s are put in the drop-out magazine. 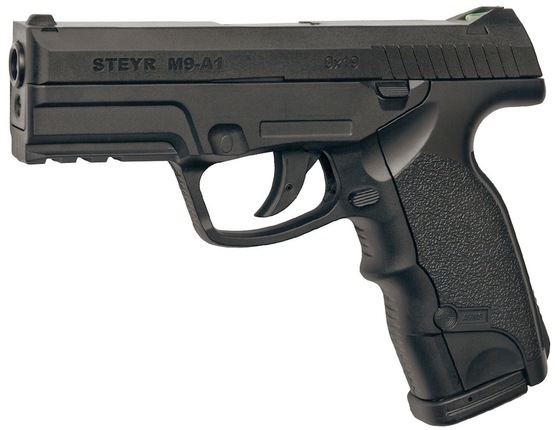 The ASG Steyr M9-A1 Non-Blowback CO2 6mm AIrsoft BB pistol is a faithful copy of the real model Steyr mannlicher M9-A1 complete with licensed trade marks and a functional safety pin. You will get over 465fps shots from the 14 round drop out magazine and just like the real steal you can add a laser site or tactical light to the weaver style accessory rail. ASG Shipment Delay - We Will Have Them Soon!!! We have been waiting a while here in Canada for some of our ASG products to come back in stock. 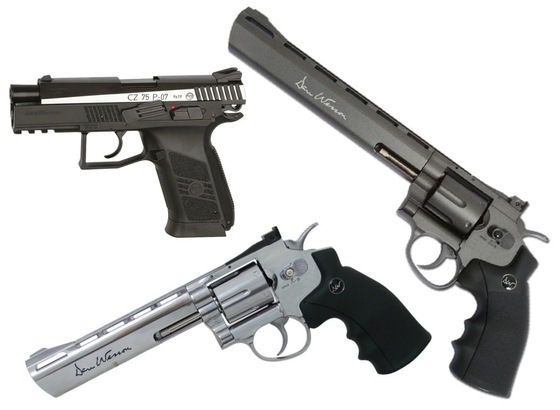 ASG provides us with our Dan Wesson line and the Dan Wesson Revolvers have been a very popular airgun to say the least. We did manage to get a few of them, mainly to fill some of the earlier back orders but this big order had to come by cargo ship and now it has arrived and has been with Canada customs for about a week so we should be close to having them for you! The hold up on this shipment is because we have some ASG Airsoft guns in with the regular Airguns which is good news as we will soon be stocking some very nice ASG Airsoft Pistols and Rifles but the new Airsoft guns are the main reason that Canada Customs is taking their time giving their OK on this shipment. 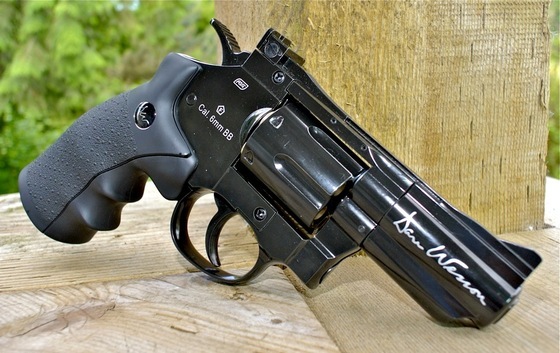 My advice to anyone who has been waiting a long time for their Dan Wesson Revolver (Mostly the 2.5 & 4 inch versions) is to hold on a bit longer because the wait is almost over and we will sell out of these guns quickly so having your backorder in guarantees you will get yours. I did a full review of the ASG CZ 75 P-07 DUTY a while back but I didn't include any actual footage of the CZ 75 shooting. This BB shooter has a nice blowback action so I wanted to show you how this semi auto air pistol cycled in regular speed and then slowed down to 420 frames per second with my Casio high speed camera. Today, my ASG CZ 75 P-07 DUTY and Dan Wesson 6 and 8 inch Revolvers arrived along with an Umarex Colt Special Combat. This is kind of a big deal because all of these guns virtually don't exist here in North America. I have been wanting these guns for some time but until now, I had no way to get them! I guess the best part of having a web-store is I have a say in what we are going to carry. And lucky for me I have a really resourceful product manager who was able to locate and import these fine guns not only for myself but also for anyone else here in North America wanting to place an order for one in our Replica Airguns Store. Right off the bat, both of these guns are just flawless. Their finish and quality control is top notch. They have a good solid weight to them and all the moving parts feel tight and responsive. 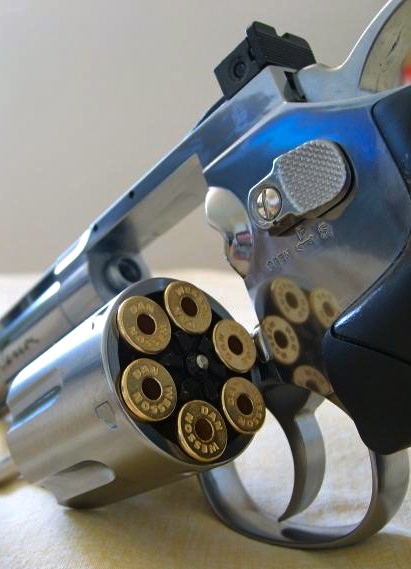 They offer both double and single action and come with a speed loader and six brass shells where the 4.5mm BB's are located. 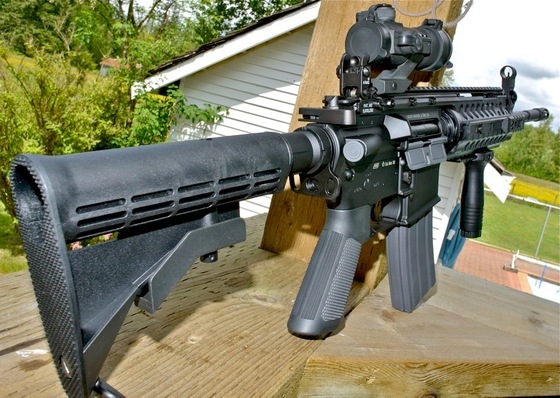 You also have the option of using the included accessory rail for mounting a scope or Red Dot sight. Again I was really impressed with the quality of this blowback 4.5mm BB shooter! 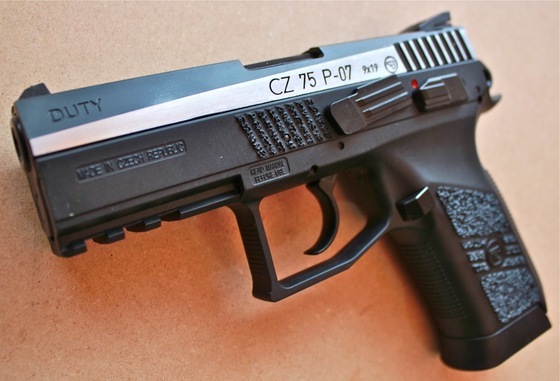 Even though the CZ 75 P-07 DUTY has a polymer frame it has good weight to it, probably because of the metal slide and good usage of metal in other areas like its drop out 20 round metal magazine and metal even in the CO2 door. There is amazing detail and realism all over this gun, it even has the original 9x19 markings on the slide and ejection port, you would be hard pressed to tell the difference between this air gun version and the real steel without a very close inspection! 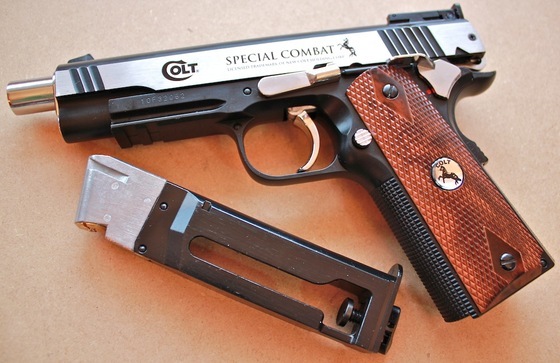 OK, so the Colt Special Combat isn't a blowback BB pistol! Once you pick it up and take a close look at all the work that went into this gun, you will soon forget all about the blowback. 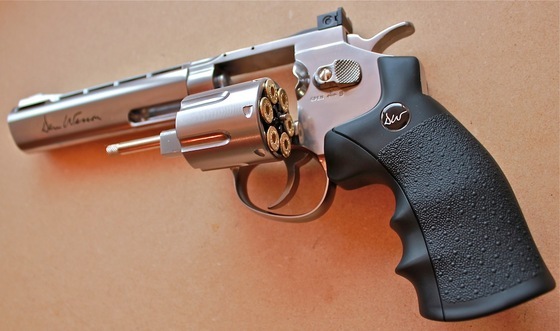 The tradeoff here is more power and usable shots along with features like an all metal design, a working slide, a full size drop free metal magazine, adjustable sights and both a single and double action trigger. 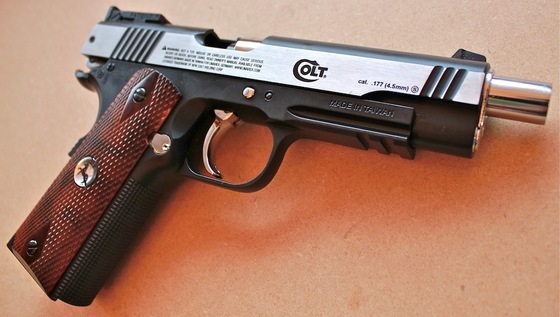 Having a classic 1911 that is as nice as this one in my airgun collection is a real treat! I'm happy to announce that at least for now, we have some inventory of the ASG Dan Wesson Revolvers and the CZ 75 P-07 Duty. If you want one, order quickly!